Tulameenite: Mineral information, data and localities. Named after its discovery locality, Tulameen and Similkameen Rivers, British Columbia, Canada. Possibly forms a solid solution with Tetraferroplatinum. 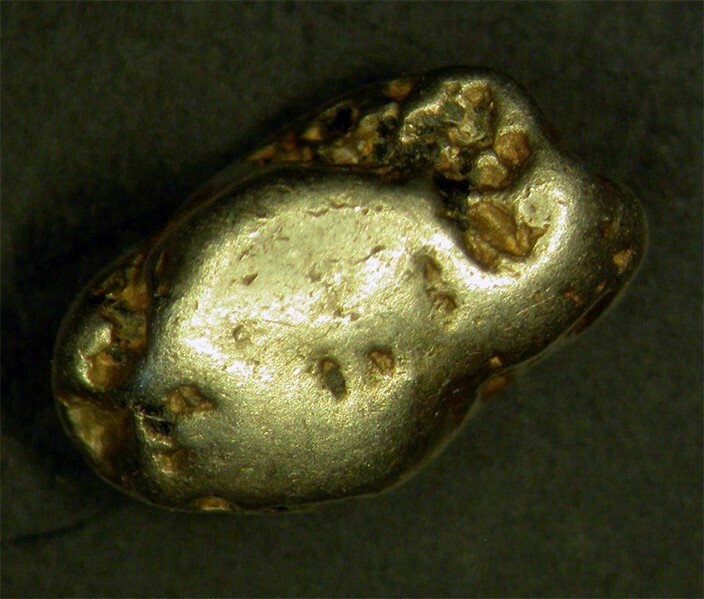 Antimonian Tulameenite Forms a solid solution with Ferronickelplatinum. Contains antimony 2.5 and more mas.%. Iridian tulameenite Tulameenite with Ir content up to 20 wt.%. Zvyagintsevite 6 photos of Tulameenite associated with Zvyagintsevite on mindat.org. Isoferroplatinum 4 photos of Tulameenite associated with Isoferroplatinum on mindat.org. Clinochlore 4 photos of Tulameenite associated with Clinochlore on mindat.org. Serpentine Subgroup 3 photos of Tulameenite associated with Serpentine Subgroup on mindat.org. Oulankaite 2 photos of Tulameenite associated with Oulankaite on mindat.org. Telargpalite 2 photos of Tulameenite associated with Telargpalite on mindat.org. Iridosmine 1 photo of Tulameenite associated with Iridosmine on mindat.org. Chromite-Magnesiochromite Series 1 photo of Tulameenite associated with Chromite-Magnesiochromite Series on mindat.org. Rutheniridosmine 1 photo of Tulameenite associated with Rutheniridosmine on mindat.org. CABRI, L.J., OWENS, D.R. & LAFLAMME, J.H.G. (1973): Tulameenite, a new platinum B iron B copper mineral from placers in the Tulameen River area, British Columbia. Canadian Mineralogist 12, 21-25. SHAHMIRI, M., MURPHY, S. & VAUGHAN, D.J. (1985): Structural and phase equilibria studies in the system PtBFeBCu and the occurrence of tulameenite (Pt2FeCu). Mineralogical Magazine 49, 547-554. American Mineralogist (1974): 59: 383-384. Bayliss (1990) Canadian Mineralogist: 28: 751-755. 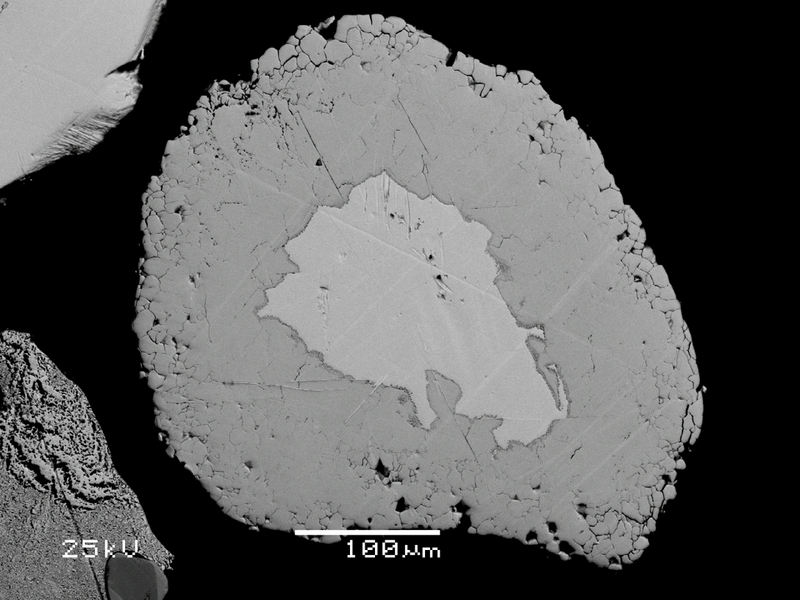 Bart Cannon microprobe analyses on polished ore mounts. CABRI, L.J., OWENS, D.R. & LAFLAMME, J.H.G. (1973): Tulameenite, a new platinum B iron B copper mineral from placers in the Tulameen River area, British Columbia. Canadian Mineralogist 12, 21-25.; Nixon, G. T., Cabri, L. J., & Laflamme, J. G. (1990). Platinum-group-element mineralization in lode and placer deposits associated with the Tulameen Alaskan-type complex, British Columbia. The Canadian Mineralogist, 28(3), 503-535. Stribrny, B., Wellmer, F.-W., Burgath, K.-P., Oberthür, T., Tarkian, M., and Pfeiffer, T. (2000): Mineralium Deposita 35, 260-281. Holwell, D. A., Keays, R. R., McDonald, I., & Williams, M. R. (2015). Extreme enrichment of Se, Te, PGE and Au in Cu sulfide microdroplets: evidence from LA-ICP-MS analysis of sulfides in the Skaergaard Intrusion, east Greenland. Contributions to Mineralogy and Petrology, 170(5-6), 1-26. Lorand, J.-P., Ducluzaux, B., & Pont, S. (2018). 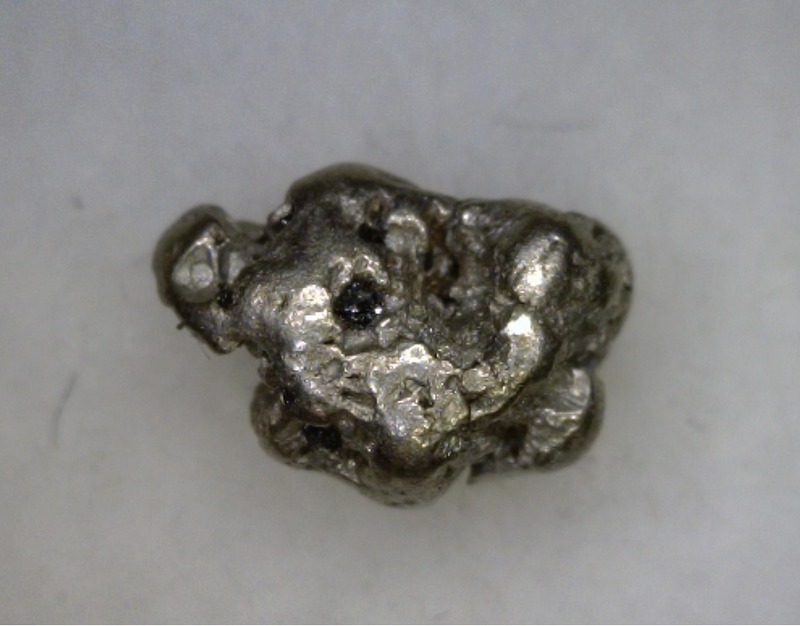 Une nouvelle découverte de pépites de minéraux du groupe du platine (platine, osmium, iridium) en France : les cailloutis et alluvions de la Reyssouze (Ain). Le Règne Minéral 143, 5-16. Excalibur Mineral Co. specimens and analyses. 5th International Platinum Symposium Bulletin of The Geological Society of Finland Number 61, Part 1,1989,1-64; Hagen, D., Weiser, T., & Htay, T. (1990). Platinum-group minerals in Quaternary gold placers in the upper Chindwin area of northern Burma. Mineralogy and Petrology, 42(1-4), 265-286. Oberthür, T., Melcher, F., & Weiser, T. W. (2017). Detrital Platinum-Group Minerals and Gold In Placers of Southeastern Samar Island, Philippines. The Canadian Mineralogist, 55(1), 45-62. Kozlov, A. P., Chanturiya, V. A., Sidorov, E. G., Tolstykh, N. D., & Telegin, Y. M. (2011). Large-volume platinum ore deposits in zonal mafic-ultramafic complexes of the Ural-Alaskan type and the outlook for their development. Geology of ore deposits, 53(5), 374. Tolstykh N.D., Sidorov E.G., Kozlov A.P. (2004) Platinum-group minerals in lode and placier deposits associated with the Ural-Alaskan-type Gal'moenan complex, Koryak-Kamchatka Platinum Belt, Russia, - Canadian Mineralogist, v.42, p.2, pp. 619-630. Sidorov, E. G., Tolstykh, N. D., Podlipsky, M. Y., & Pakhomov, I. O. (2004). Placer PGE minerals from the Filippa clinopyroxenite-dunite massif (Kamchatka). Geologiya i Geofizika (Russian Geology and Geophysics), 45(9), 1128-1144. Kutyrev, A. V., Sidorov, E. G., Antonov, A. V., & Chubarov, V. M. (2018). Platinum-group mineral assemblage of the Prizhimny Creek (Koryak Highland). Russian Geology and Geophysics, 59(8), 935-944. Tolstykh, N., Sidorov, E., & Kozlov, A. (2009). Platinum-group Minerals from the Olkhovaya–1 Placers Related to the Karaginsky Ophiolite Complex, Kamchatskiy Mys Peninsula, Russia. The Canadian Mineralogist, 47(5), 1057-1074. Cabri, L.J., Laflamme, H.H. Giles, (1997), Platinum Group Minerals from the Konder Massif, Russian Far East, Min Rec. 28, 97-106; Lennikov, A. M., Zalishak, B. L., & Oktyabrsky, R. A. (2004). The Konder massif of ultramafic and alkaline rocks and related PGM mineralization. In Interim IAGOD Conf. Excursion Guidebook. Vladivostok: Dalnauka (p. 29). Barkov, A. Y., Shvedov, G. I., Silyanov, S. A., & Martin, R. F. (2018). Mineralogy of Platinum-Group Elements and Gold in the Ophiolite-Related Placer of the River Bolshoy Khailyk, Western Sayans, Russia. Minerals, 8(6), 247. Grokhovskaya, T. L., Lapina, M. I., & Mokhov, A. V. (2009). Assemblages and genesis of platinum-group minerals in low-sulfide ores of the Monchetundra deposit, Kola peninsula, Russia. Geology of Ore Deposits, 51(6), 467-485. Eur. J. Mineral. , 1993, 5, pp. 1227-1233.; Barkov, A. Y., Martin, R. F., Tarkian, M., Poirier, G., & Thibault, Y. (2001). Pd–Ag Tellurides from a Cl-rich environment in the Lukkulaisvaara layered intrusion, northern Russian Karelia. The Canadian Mineralogist, 39(2), 639-653. Barkov, A. Y., Martin, R. F., Tarkian, M., Poirier, G., & Thibault, Y. (2001). Pd–Ag tellurides from a Cl-rich environment in the Lukkulaisvaara layered intrusion, northern Russian Karelia. The Canadian Mineralogist, 39(2), 639-653. Mineralogy of Ural. Native elements, carbides, sulphides. - edited by N.P. Yushkin, Sverdlovsk, 1990, pp. 92-97 (in Rus. ); Seltmann, R., Soloviev, S., Shatov, V., Pirajno, F., Naumov, E., & Cherkasov, S. (2010). Metallogeny of Siberia: tectonic, geologic and metallogenic settings of selected significant deposits*. Australian Journal of Earth Sciences, 57(6), 655-706; Kozlov, A. P., Chanturiya, V. A., Sidorov, E. G., Tolstykh, N. D., & Telegin, Y. M. (2011). Large-volume platinum ore deposits in zonal mafic-ultramafic complexes of the Ural-Alaskan type and the outlook for their development. Geology of ore deposits, 53(5), 374. Garuti, G., Pushkarev, E.V., and Zaccarini, F. (2002) Composition and paragenesis of Pt alloys from chromitites of the Uralian-Alaskan-type Kytlym and Uktus complexes, northern and central Urals, Russia. Canadian Mineralogist: 40: 1127-1146. 9th International platinum symposium Chromite-PGE mineralization in the Uktus Alaskan-Type Complex (Central Urals,); 9th International platinum symposium Chromite-PGE mineralization in the Uktus Alaskan-Type Complex (Central Urals,); Garuti, G., Pushkarev, E.V., and Zaccarini, F. (2002) Composition and paragenesis of Pt alloys from chromitites of the Uralian-Alaskan-type Kytlym and Uktus complexes, northern and central Urals, Russia. Canadian Mineralogist: 40: 1127-1146.; Zaccarini, F., Pushkarev, E., Garuti, G., Krause, J., Dvornik, G. P., Stanley, C., & Bindi, L. (2013). Platinum-group minerals (PGM) nuggets from alluvial-eluvial placer deposits in the concentrically zoned mafic-ultramafic Uktus complex (Central Urals, Russia). European Journal of Mineralogy, 25(4), 519-531. Wilhelmij, H. R., & Cabri, L. J. (2015). Platinum mineralization in the Kapalagulu Intrusion, western Tanzania. Mineralium Deposita, 1-25. Gurov, E. P., Shekhunova, S. B., & Permyakov, V. V. (2013) Accessory Minerals from Impact Melt Rocks of the Boltysh Structure, Ukraine. Native Metals and Alloys. In Lunar and Planetary Science Conference (Vol. 44, p. 1217). ; Gurov, E. P., Shekhunova, S. B., & Permyakov, V. V. (2015). Accessory and opaque minerals in impact melt rocks of the Boltysh structure, Ukraine. Meteoritics & Planetary Science, 50(6), 1139-1155.